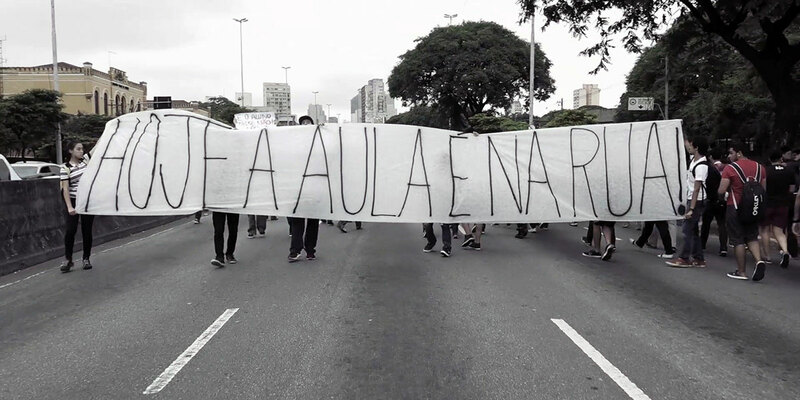 In one of the richest and most conservative states in Brazil, the modus operandi of public education suffers a setback when high school students react to the official decree that determines the closure of 94 schools and the reallocation of students. In a few days, through social networks and apps, we see students organize a response in a true Spring Revolution: They occupy 241 schools and take to the streets to protest. The state decrees war on students and every relationship becomes a revolution. 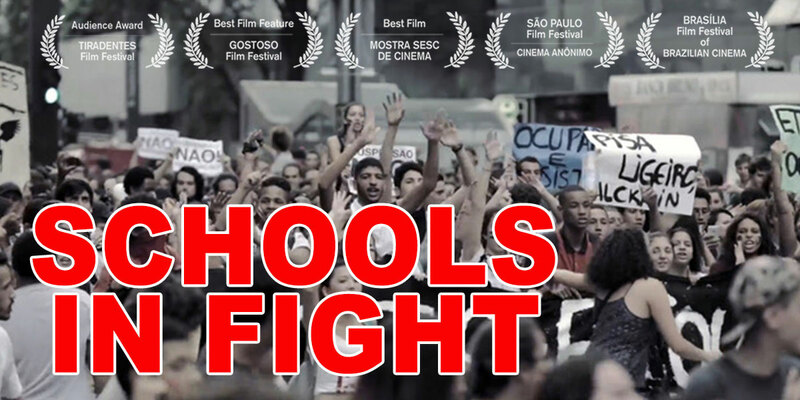 Schools in Fight follows the students as they fight for their right to an education. Through interviews and cameras inside the buildings, operated by the same students, the film throws light on a generation that dared to face that autocratic gesture of the State. The documentary presents a change in culture with emphasis on feminism and racism, and the consequent changes in student relations. It offers an unprecedented glimpse into the birth and growth of a peaceful movement that ultimately succeeded in overturning the government’s decree. Eduardo Consonni is a Psychologist, teacher, and documentary filmmaker. Rodrigo T. Marques is a teacher and documentary filmmaker. Together they co-founded Complô and since 2005 heve been involved in documentary film production, releasing titles such as Pedro Osmar, prá liberdade que se conquista (In Edit/Brasilia’s Festival/Mimo Brasil Festival/Rumos and SPCINE prizes/Premiére in 03/2017), Loader 1118 (It’s All True/Forum Doc BH/BAFICI) and Escolas em luta (CachoeiraDoc 2017/ Festival de Brasília 2017). Tiago Tambelli is a documentary filmmaker. He has worked as a producer, director, script writer and DOP with many directors such Rogerio Sganzerla, Walter Carvalho, Isa Grinspun, Roberto Moreira, Susana Lira, Jeferson De, Sérgio Machado, Evaldo Mocarzel, Martín Duplaquet and many others, in fiction films and documentaries. His credits include the documentaries 20 Centavos and Das Almas. “In times of political effervescence where the voice of the oppressed was echoing with all its force through the city, it was essential to assure it in an undeniable way. The students’ voice was made possible by having a camera at their disposal and filming the very revolutionary experience they were building.” – Rodrigo Marques, director. 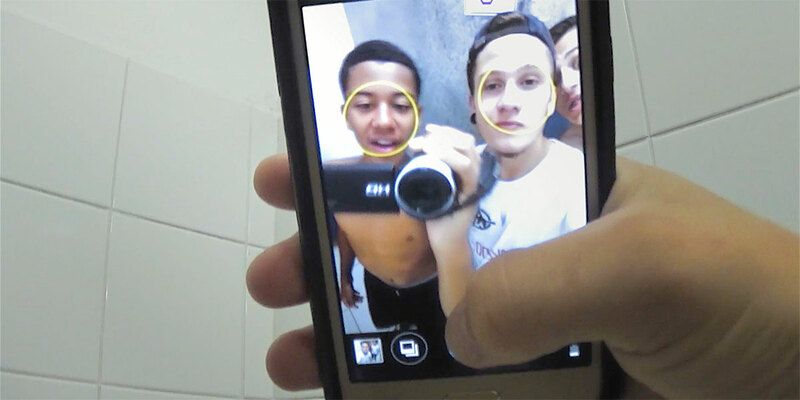 “One of the high schoolers circulated with a camera through schools, like Fernão Dias, in Pinheiros.” – Eduardo Consonni, director. 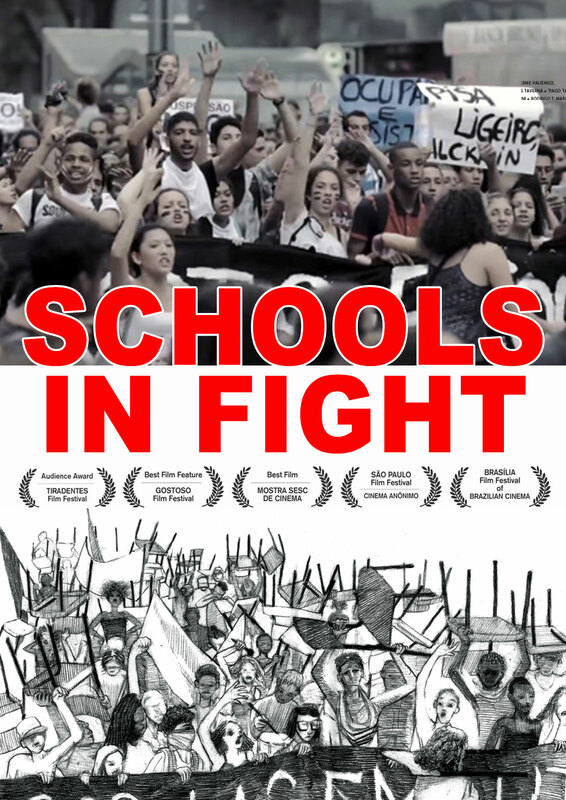 “The idea was to take advantage of the heat of the moment and from there to learn how those students thought of the occupations, how the relationships between the schools developed, their affection, fears, and fighting force.” – Tiago Tambelli, director.